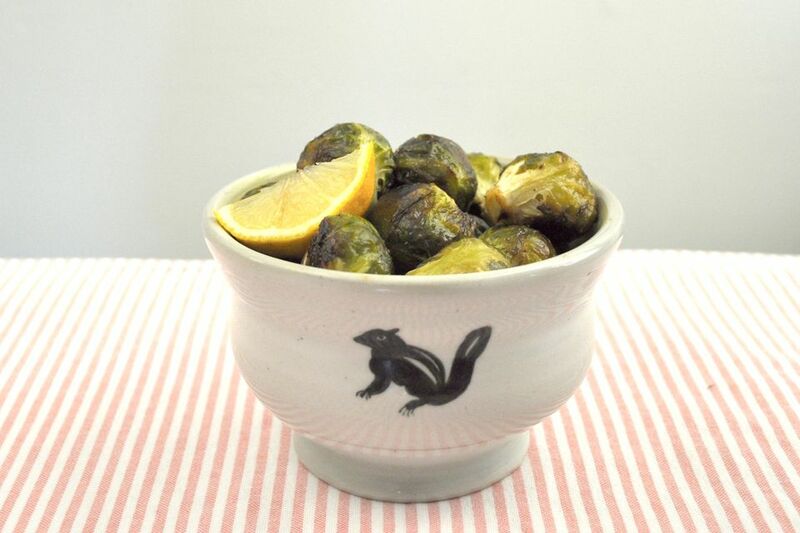 Still trying to get your family to eat Brussels sprouts? Roasting is the way to go, since the high, dry heat caramelizes the outside and tenderizes the inside. A simple sweet and spicy glaze of honey, cayenne pepper, cumin, and fresh lemon juice won't hurt either. Added at the end, the simple sauce coats the sprouts and punches up the flavor. The glaze also tastes great on roasted carrots or sweet potatoes. This recipe works best with small, tender Brussels sprouts. Prepare your sprouts by giving them a good rinse with cold water followed by a good dry with a tea towel. Remove the outermost leaves and trim the brown, tough stem ends. Serve as a flavorful side with pork chops or a juicy turkey breast. Place the Brussels sprouts on a large, rimmed baking sheet, and toss with the oil. Season with salt and pepper. Roast the sprouts for 18-22 minutes, tossing once, or until the outer leaves are caramelized and the centers are tender. Top the roasted sprouts with the honey, lemon juice, cumin, and cayenne pepper. Toss well on the hot baking sheet until well coated. Store any leftovers for up to 3 days in the refrigerator. Swap the cumin for ground ginger, the lemon juice for lime juice, and add a drizzle of sesame oil for an Asian twist.